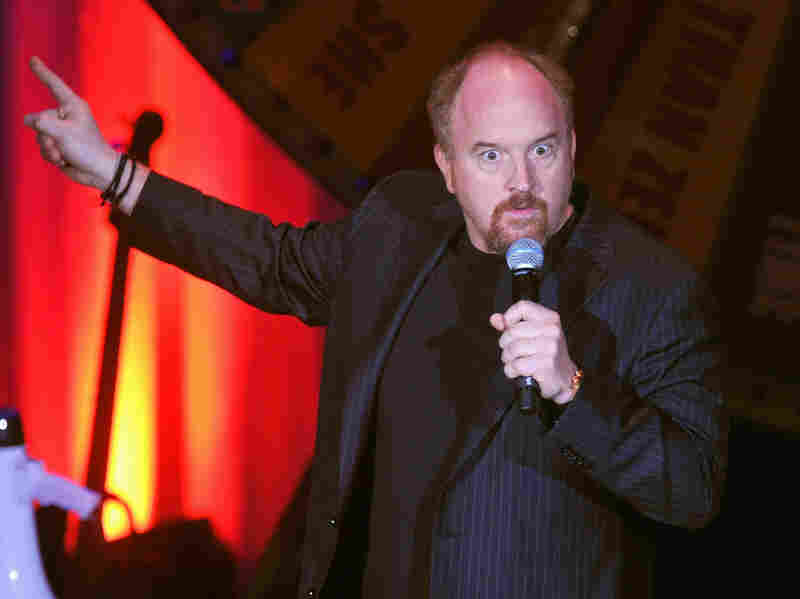 The Common Core FAQ : NPR Ed It's not just Louis C.K. and Stephen Colbert who are confused about the Common Core. Get the facts here. Louis C.K. isn't the only parent confused about the Common Core. The nprED team is here to help by answering 25 questions (and counting) about the standards. If you have other questions or information to share, leave them in the comments or email us. OK, so what is the relationship between the Common Core and my kid's math homework? Why do we need the Common Core? Where did the Common Core come from? Who is behind it? You didn't mention the federal government. What was its role in creating the standards? What do "standards" mean? Are they the same as curricula? What are the standards replacing? Are the Common Core standards harder than my state's old standards? Do other countries do this? What do the standards mean for math? What do the standards mean for English? How are Common Core standards affecting state tests? What is the "assessment cliff"? How is Common Core affecting my kid's school (teachers, districts)? Who is for the Common Core standards? Who is against them? What other states have dropped the Common Core? Is the Common Core by any other name still the Common Core? What is the difference between "Common Core" and "Common Core-aligned"? Who is making money from the Common Core? Do the standards require schools to collect data on their students? Opponents of the Common Core argue that it tells teachers what to teach. Is this true? How do teachers unions feel about the Common Core? How will we know if all of this is working? 1) What is the Common Core? The Common Core State Standards Initiative is the largest-ever attempt in the United States to set unified expectations for what students in kindergarten through 12th grade should know and be able to do in each grade in preparation for college and the workforce. In short, the standards are meant to get every student in America on the same page. Right now, the Common Core standards cover two areas: math and English language arts (writing and reading). They were developed by a group of governors, chief state school officers and education experts from 48 states. To date, 44 states and the District of Columbia have formally adopted the new standards. By Spring of 2015, most of these states plan to administer state tests that have been aligned to the new standards. 2) OK, so what is the relationship between Common Core and my kid's math homework? It's complicated! Louis C.K. is not the first parent to take to the Internet blaming Common Core for confusing or difficult math problems. Here's the thing: The Common Core standards don't specify the use of curricula, textbooks, workbooks or lesson plans — let alone particular math problems. (See #6, below). But in order to teach to the new standards, schools are rushing to adopt new materials labeled "Common Core-aligned." The creation of new materials, the repackaging of old materials, and the training of teachers to teach to the new standards within a few short years are all causing adjustment issues. For example, one "viral" math problem piled on interpretations of four different Common Core second-grade math standards: number lines, place values, adding and subtracting up to 1,000, and the ability to explain in words how one arrives at an answer. Jason Zimba, one of the lead writers of the math standards, told the Hechinger Report: "That question would not be in a textbook if I wrote it." What many parents will notice if they have a child taking math in a Common Core state is that kids are being asked to perform the same old equations — but they're being taught new ways of arriving at the old answers. There's a new emphasis on breaking down numbers into their component parts so that kids better understand what it means to add, subtract, multiply and divide. Also new: a shift toward visualizing math concepts with drawings and diagrams. 3) Why do we need the Common Core? Several arguments have been made in favor of creating a single set of expectations for what students should know and be able to do. No Child Left Behind, a federal law, mandated that all states give annual tests in grades 3-12 to ensure that all students were proficient. However, each state chose its own test and its own definition of proficiency. So, in practice, the numbers couldn't really be compared from state to state. In theory, with the Common Core come common definitions of proficiency for each grade, allowing for clearer comparisons of how kids are doing from state to state and school to school. Those previous, state-specific standards — in lots of cases — were also not as rigorous as the Common Core. So adoption of the core standards, in many states, means a rise in quality (also see #8). In the past, private companies created textbooks, materials and tests to satisfy requirements for 50 different states. A common, agreed-upon set of standards enables a single marketplace of materials, which should lead to more competition. Other countries with high-performing students also use a single set of national standards (See #9). A single set of standards, including sequencing from grade to grade, should make it easier for students to catch up when they switch schools or move to a new state. This is one of the reasons the U.S. military supports the standards — children connected with the military move frequently. 4) Where did the Common Core come from? The major groups involved in developing the standards include a nonprofit called Achieve, which was founded by a group of business leaders and governors in 1996 (long before Common Core). Among its contributors are many of America's largest corporations, such as Alcoa, Exxon Mobil and Microsoft, as well as many large foundations, like the Bill and Melinda Gates Foundation (also a funder of NPR Ed), and the William and Flora Hewlett Foundation. In 2009, Achieve partnered with the National Governors Association and the Council of Chief State School Officers to begin developing the standards. They were initially released in 2010, and most states began the process of adopting them that year. A nonprofit called Student Achievement Partners was founded in 2007 to write the standards. Co-founders David Coleman, Sue Pimentel and Jason Zimba all became lead writers of Common Core. Coleman had previously sold an education startup to textbook company McGraw-Hill. He went on to become president of the College Board, which makes the SATs. Pimentel is a curriculum and assessment specialist, and Zimba has a Ph.D. in mathematical physics. The National Education Association (NEA), American Federation of Teachers (AFT), National Council of Teachers of Mathematics (NCTM), and National Council of Teachers of English (NCTE) all assembled teachers to give feedback and input on the standards. The NEA and the AFT, the two largest teachers' unions in the country, both initially published statements of support for the standards. So have several groups representing principals, school board officers, teachers, school boards, the military and the national PTA, among others. The Bill and Melinda Gates Foundation, one of the largest philanthropic funds in the world, has made the development and adoption of the Common Core standards a key strategy in its education programs and has contributed at least $170 million to various groups to further that goal. 5) What was the federal government's role in creating the Common Core? This is probably the biggest single source of controversy surrounding the Common Core. The truth is, the federal government played no role in creating the standards, nor did it require that states adopt them. But the U.S. Department of Education under President Obama and Secretary of Education Arne Duncan did incentivize adoption. In July 2009, the Education Department created Race to the Top, a $3.4 billion grant competition. States that agreed to adopt the Common Core standards won points on their applications, increasing their eligibility for a share of the money. This carrot, with a deadline attached, helped spur a majority of states to adopt the standards within a few months after they were released in July 2010. The federal government also funded the state-led consortia creating the Common Core-aligned tests. 6) What do "standards" mean? Are they the same as curricula? No. Standards set goals for what students should know and be able to do. For example, the first goal for kindergarten math in Common Core is to "count to 100 by ones and by tens." A curriculum describes in much more detail how students and teachers should interact with specific content, in a specific sequence, over the course of a year in order to achieve a set of goals. Curricula may be adopted at the state level or by local school boards. Supporting materials such as texts, workbooks, computer programs and tests are produced by commercial vendors and nonprofits, and districts, states and sometimes individual teachers purchase them. Working from a curriculum and associated materials, a teacher then creates individual lesson plans with learning goals and activities for each year, semester, unit, week, day, hour and even minute in the classroom. To give an idea of scope and the level of detail, the Common Core standards for K-12 English language arts and K-12 math are each about 60-70 pages long. The curriculum in California public schools, which includes Common Core standards, is 79 pages for kindergarten alone (PDF). For the goal mentioned above, the California public school curriculum elaborates: "Kindergarteners learn the number names as they count (to 100 by 1s and 10s) and write number names (from 0 to 20). Students learn that each successive number name refers to a quantity that is one larger as they count objects and say the corresponding number names. ... To help develop their writing skills, students may copy a numeral many times, then write the numeral with some prompts (e.g., dots or arrows), and finally write it from memory as the teacher says the number. A multisensory approach is important at this age and students may need to be encouraged to be unconcerned about the quality of their handwriting as they learn to write numerals." 7) What are the standards replacing? Every state previously set its own education standards. This gets back to #3, perhaps the biggest reason education and business leaders wanted the Common Core standards. Under No Child Left Behind, states were held accountable for student proficiency, but they were also allowed to set their own bar for what "proficiency" meant. And many intentionally lowered the bar to avoid repercussions under NCLB. As a result, a B+ reader in one low-performing state could move with his parents to a high-performing state and find himself far behind (for more on this issue, jump to #8). 8) Are the Common Core standards harder than my state's old standards? That's a matter of controversy. The initiative states on its website, "Since this work began, there has been an explicit agreement that no state would lower its standards." A 2010 review by the Fordham Institute, which supports the Common Core, found that California, Indiana and the District of Columbia had standards that were clearly superior to Common Core. Massachusetts, Virginia, Tennessee, Georgia, Alabama, Florida, Louisiana, Texas, Oklahoma, Colorado and Arizona had standards that were "too close to call" in terms of quality comparison to Common Core. In the remaining 33 states, the Common Core standards were "clearly superior" to state standards in both math and English. The quality of standards is not the only determinant of educational progress, of course. 9) Do other countries do this? Some do, but by no means all. The United States is unusual in its degree of local control over public schools. In many developed nations there are national educational standards and even national curricula (U.K. and France). In others, such as Canada and Australia, standards and curricula are adopted on a provincial or statewide basis, but most of these countries have fewer political divisions than our 50 states, so in practice there is a higher degree of coordination than in the U.S. The PISA exam, given in 65 countries, is the most frequently cited comparative measure of international educational performance. The top 10 performers on the 2012 exam, which covered mathematics, included Singapore, Japan, Korea, Liechtenstein and the Netherlands, all of which have national standards (although Singapore is a city-state and Liechtenstein has just 37,000 residents). Among the top 10 are four Chinese localities: Shanghai, Hong Kong, Taipei and Macau. Each has a political relationship to China, but each has its own, acclaimed math standards. Switzerland is another counterexample of a high-performing school system (#9 on the 2012 PISA exams) that is under a high degree of local control. There isn't even a federal minister of education. Achieve Inc. has issued briefs comparing the Common Core standards with widely admired international standards: Japan's and Singapore's mathematics standards and the English language arts standards of Alberta, Canada, and New South Wales, Australia. 10) What do the standards mean for math? The slogan of the Common Core is "fewer, higher, deeper" — a smaller number of more rigorous standards with a focus on both understanding and application. In math, the standards are designed to be coherent and connected in a consistent sequence, with concepts that build on each other from grade to grade (here's a huge, complicated diagram showing how). Grades K-2 cover addition and subtraction; 3-5 cover multiplication, division and fractions; 6-8 cover ratios, proportions and algebraic concepts. The standards set a floor, not a ceiling. The Common Core sequence does not completely tackle algebra until high school, and the standards don't fully prepare students to take calculus even in college (a common criticism of the Common Core math standards). In 2009, the most recent year for which statistics were available, 15.9 percent of high school graduates had already taken calculus. "The mathematics in the Common Core — easily three years of mathematics [in high school] reaching the level of Algebra II — will not by itself prepare students for STEM majors or meet admissions criteria for top universities," lead math standards writer Jason Zimba has written. 11) What do the standards mean for English? In English, as in math, the slogan of the Common Core is "fewer, higher, deeper" — a smaller number of more rigorous standards with a focus on both understanding and application. In English language arts, the standards emphasize using evidence from texts in writing, and answering text-dependent questions in reading. Students are expected to be fluent in argumentative, explanatory and narrative writing. For example, rather than being asked to write an essay based purely on personal experience, like the classic "What I Did on My Summer Vacation," a third-grader might be asked to write a paper arguing that school should not be held year-round, giving reasons for their opinion that summer vacation is good for children. The biggest difference between a Common Core English classroom and English classes of old may be a shift toward nonfiction and informational texts at increasing levels of complexity. This leads to a greater emphasis on reading and writing across subjects, and on "academic" and technical vocabulary. In grades K-5, the standards specify a 50-50 mix of literature, such as poetry and short stories, with nonfiction texts covering subjects like science, history and social studies. In grades 6-12, even within the literature category, more of the reading will be "literary nonfiction," including journalism and essays. The Common Core English language arts standards don't include a reading list or canon. The only author they specify is Shakespeare, alongside foundational American history texts and literary "classics." But they do offer a list of suggested "exemplar texts" — including books like Charlotte's Web in 2nd grade, Little Women and Narrative of the Life of Frederick Douglass in middle school, and Jane Eyre and Walden in 11th grade (see also #22). 12) What's an "informational text"? The Common Core emphasizes literacy in science and social studies, not just in English class. Students may be asked to read a scientific paper, the Constitution, or even a map. 13) How are Common Core standards affecting state tests? With the new standards come new tests. No Child Left Behind requires statewide accountability tests be given to 3rd- through 12th-graders annually. The federal government funded two multistate consortia, PARCC and Smarter Balanced, to the tune of $350 million, to create new Common Core-aligned tests for math and English language arts. These were "field-tested" by around 4 million students in the spring of 2014 in preparation for release in the spring of 2015. Field-testing means testing the tests, not testing the kids. In addition, Pearson Education, the largest education publisher, produced Common Core-aligned tests that were given for the first time in 2012 to students in Kentucky, and in 2013 to kids in New York state. PARCC and Smarter Balanced tests will be administered by computer. This means results are available more quickly. It also allows for the inclusion of more items that go beyond the standard multiple choice, such as placing statements in the order of their importance in a passage. Smarter Balanced tests will also be "computer adaptive," meaning the exact combination of questions varies based on students' responses. This is supposed to allow the test to give a more precise idea of each student's strengths and weaknesses. As with many other aspects of the Common Core, the transition to the new tests is creating a lot of confusion and resistance. Some schools don't have the necessary computer equipment or connectivity, for example. In other districts, teachers are starting to teach the standards while still administering old state tests, or giving the old and new tests at the same time. California is one state that asked for and received a waiver from "double-testing" its students. To date, 10 states have pulled out of their original assessment consortia (some were members of both): Utah, Oklahoma, Georgia, Alabama, Indiana, Kansas, Pennsylvania, Alaska, Florida and Kentucky. 14) What is the "assessment cliff"? The new Common Core tests are harder, and they are unfamiliar. That adds up to a steep drop in scores. In Kentucky and New York, which gave Common Core-aligned tests for the first time in 2012 and 2013 respectively, the percentage of students who met the "proficient" cutoff dropped by 25-30 percentage points. State accountability tests are linked to consequences for students, teachers, schools, districts and states. So a sharp drop in scores is bound to be unpopular. 15) How is Common Core affecting my kid's school, teacher, district? Why don't you tell us? We'd love to hear from you as we update this FAQ. 16) Who is for the Common Core standards? Who is against them? As implementation progresses, the standards have stirred more and more controversy. Much, though not all, of the most organized opposition comes from conservative groups wary of a growing federal role in education. In April 2013, the Republican National Committee adopted a resolution (PDF) calling the Common Core "an inappropriate overreach to standardize and control the education of our children." Then again, the standards enjoy strong support from business leaders and a pair of high-profile conservative backers: former Florida Gov. Jeb Bush and former Arkansas Gov. Mike Huckabee (PDF). The Eagle Forum has called the Common Core "federal ... control by Obama administration left-wing bureaucrats." In February 2014, the head of the National Education Association, the nation's largest teachers union, called for a "course correction" on Common Core. The union didn't reject the use of the standards, but said, "The implementation has been completely botched. Seven of ten teachers believe that implementation of the standards is going poorly in their schools." This was significant because the NEA had initially endorsed the standards and helped develop them. In many states — including Alaska, Arkansas, Arizona, California, Indiana, Missouri, Ohio, Pennsylvania and Utah — parents, teachers and activists have created groups "against the Common Core." And a Republican lawmaker in Florida has stated that the Common Core will "attract every one of your children to become as homosexual as they possibly can." On the other side, besides the endorsers named above and many influential education reformers, the Common Core standards are backed strongly by the federal Department of Education. Secretary Arne Duncan got in trouble in 2013 for characterizing the opposition to Common Core as "white suburban moms." ALEC, a political group made up of large corporations, endorses the standards. One of its members, Exxon Mobil, has conducted its own high-profile public relations campaign. 17) What happened in Indiana? In March 2014, Indiana dropped the Common Core. Of the 45 states that initially adopted the standards, Indiana became the first state to officially repeal them. Hoosiers Against the Common Core and other groups had raised a series of objections about the cost of implementing the standards and the implied degree of centralized control over schools and teachers. "I believe when we reach the end of this process there are going to be many other states around the country that will take a hard look at the way Indiana has taken a step back, designed our own standards and done it in a way where we drew on educators, we drew on citizens, we drew on parents and developed standards that meet the needs of our people," said Gov. Mike Pence on signing the legislation that said Indiana would write its own standards. The story doesn't end there. Now that Indiana has written new standards to replace the Common Core, backers and critics alike don't see much difference (also see #19). 18) What other states have dropped Common Core? In May South Carolina's governor signed a bill that requires the state to adopt new standards in the 2015-2016 school year. In June Oklahoma passed a law dropping the standards. Republican Govs. Scott Walker of Wisconsin, Bobby Jindal of Louisiana, and Sam Brownback of Kansas have all spoken out against the standards — but they are still being implemented in all three states. Alaska, Texas, Nebraska and Virginia never adopted the standards, and Minnesota adopted them in English language arts only, keeping its own standards in math. Some other states have pulled out of the assessment consortia and plan to use their own tests, which in practice will probably be produced by companies like Pearson. 19) Is Common Core by any other name still Common Core? Maybe. Even states that are publicly distancing themselves from the Common Core and its assessments are often patterning their new standards closely on it, rather than invest the time and money required to start from scratch. For example, Gov. Mike Pence invited a committee of independent experts, led by Common Core critic Sandra Stotsky, to review a draft of Indiana's new standards. She reported in April 2014 (PDF) that "93% of the standards in grades 6-12 ... were identical to or slightly edited versions of Common Core's standards in grades 6-12 ... K-5 was ... also heavily repetitious of Common Core's standards." On the other hand, Oklahoma's new law requires the state board of education to compare their new standards to the Common Core to ensure there is no overlap. 20) What is the difference between "Common Core" and "Common Core-aligned"? It's a big difference. The writers of the Common Core do not publish, review or endorse any curricula, textbooks or other materials. That means that anyone who produces an educational product can claim that it is "Common Core-aligned." And hundreds do. 21) Who is making money off of Common Core? Potentially lots of people. The size of the K-12 instructional materials market in the U.S. was estimated at $20 billion in 2012 (PDF). By comparison, the size of the trade publishing market was $6.53 billion in 2012. According to a survey last year, 68 percent of school districts planned to purchase new materials aligned with Common Core. The transition to Common Core coincides with the ongoing transition to digital educational materials like apps and e-books. That means that it's not just the traditional textbook publishers and test makers, like Pearson and CTB/McGraw-Hill, that are lining up to create Common Core-stamped products. It's also big technology companies like Apple and startups like Amplify — a brand owned by News Corp. that produces a tablet designed for classroom use and a multimedia Common Core-aligned curriculum. Other potential profit centers from the Common Core will be in professional development for teachers to prepare them to teach the standards, and extra tutoring and test prep for students to help them learn the more rigorous standards and pass the new, harder tests. Parents already spend an estimated $11 billion (PDF) on tutoring, test prep and counseling services. 22) Do the standards require districts and states to collect more data on students? No. There is confusion on this point because Race to the Top, the big federal grant program launched in 2009, incentivized and funded both the adoption of national standards and the creation of statewide longitudinal data systems that track individual students from kindergarten through postsecondary education. So in the past few years pretty much all states have started collecting and coordinating more data on students. Common Core test scores are and will be part of that data collection. But the two trends are not directly connected. 23) Opponents of Common Core argue that the standards tell teachers what to teach. Is this true? Not really. The only required reading from Common Core comes in the 11th and 12th grades, when kids will be expected to read and understand foundational documents of historical and literary significance: the Declaration of Independence, the Preamble to the Constitution, the Bill of Rights and Lincoln's second inaugural address. Much of the confusion comes from Appendix B. It includes dozens of titles that the Common Core writers consider "text exemplars" — in other words, suggestions for teachers looking for age-appropriate reading material that will help their students reach core benchmarks. They include everything from Green Eggs and Ham to Shakespeare's Sonnet 73. But these texts are recommended, not required. The standards also call for a balance of informational texts and literature but, again, do not require specific books or reading materials. 24) How do teachers unions feel about Common Core? That's tricky. Both the National Education Association and American Federation of Teachers support the standards, but their rank and file are uncomfortable and increasingly unhappy with the implementation. Seven out of 10 teachers say the transition to a curriculum tied to Common Core isn't working. Two-thirds of teachers say they were not asked for input on how to develop the implementation plan. Teachers also say they need time to make sure they understand the standards and are able to talk to parents about them. In the meantime, unions are calling for a delay, not in implementation of the standards but in holding teachers accountable for test results. In California, Gov. Jerry Brown has already said teachers there won't be judged this year on student performance as the state transitions from old standards to new. 25) How will we know if all of this is working? It will take at least a few years of transition time to know for sure if the Common Core is working as designed. Advocates of the standards say they want Common Core to be measured by increased college and career readiness for graduates, as well as our results on international tests like the PISA. But that's if the backlash doesn't force a rollback of the standards before they fully go into use.